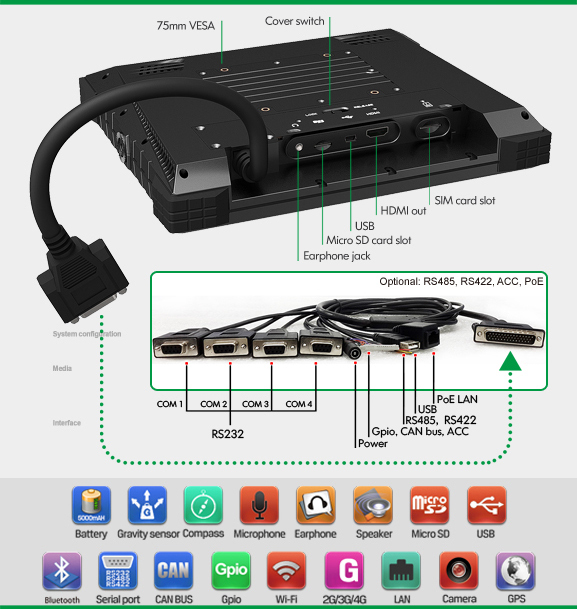 Fully featured, with a capacitive touch screen and multiple input points and connection sources, this systems is geared up for almost any usage environment. The Lilliput PC9715 panel PC system has a 9.7" rugged LCD panel that boasts an IP 64 industrial grade - making it completely enclosed to dust ingress and splashproof. The PC9715 panel PC features an integrated capacitive touchscreen ideal for POS systems and information kiosk systems. 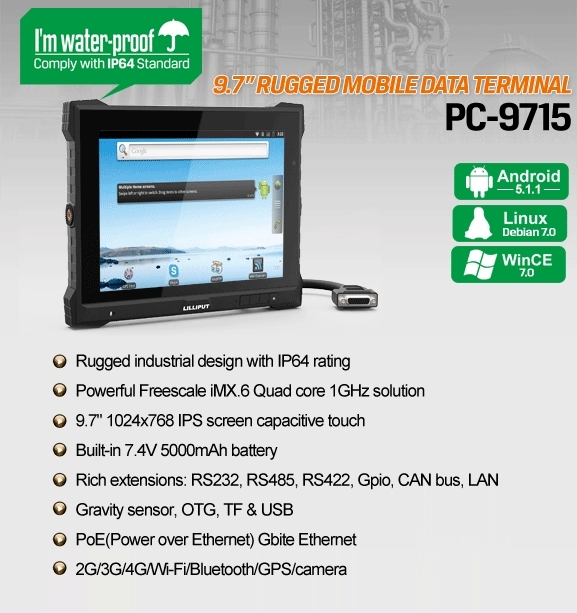 The PC9715 can be configured with Windows CE7, Android 4.3.1 or Linux giving greater flexibility in your applications. Designed with functionality in mind the PC9715 can be fitted with wireless receivers for wifi, 3G and 4G with our optional reciever plugins. Ask us for more details from our contact page.